We are a part of the global Young People's Initiative, commonly addressed as YPI. YPI is a collection of young hearts, creating awareness among people about Prem’s beautiful message of peace. 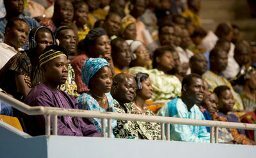 We are the youth from different cultures, backgrounds, professions but share a common thinking. We believe that efforts taken at an individual level can make this world a more beautiful place to live. Today the world is divided into many categories of discrimination, including caste, creed, color, culture, language, religion, politics and many more. Our aim is very simple and noble. We just want to make the message available to each individual in this world and to bring the possibility of Love and Peace in their lives. We don't believe in barriers. 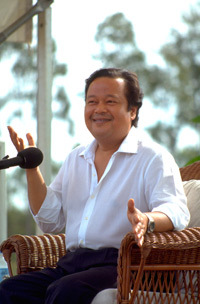 YPI is active in more than 50 countries, inspired by reality behind the message of Mr. Prem Rawat! Q: What do you people actually do? A: We propagate Prem's message to every strata of society. We try reaching out to people, creating awareness about his message from roadsides and remote villages, to various universities, offices, and prestigious organizations. We also help TPRF in carrying out humanitarian activities; whenever, wherever, and whatever way possible. Q: Why do you do it? What do you get in return? A: We do it because we love it. We don't get any materialistic benefits. It is not for commercial purpose. Most of us are working professionals in different organizations, entrepreneurs, or pursuing academics. The joy of introducing this unimaginable possibility, and satisfaction in bringing smile to others - is fuel for us to continue. Q: Is YPI meant only for Young people? A: This is an initiative by Young People for everyone. Everyone who is young at heart, irrespective of age, is invited. We aim to break the convention "Peace is something we should search in the last stage of our life" and let everyone know that it has nothing to do with age, and nothing has to be sacrificed in achieving it. Q: I wish to help, what can I do? A: We do not need any financial or material support. However, you can help by introducing this message to people you know (family, friends, and rest of the world!). Q: How can I join Young People's Initiative? A: YPI is not an organization where you register officially and get membership. We listened to Prem and got inspired. We were touched by his genuine passion and profound message. The Knowledge he gifted, lit the fire in our heart to tell others about it. If you wish, you can also receive knowledge, and the inspiration will drive you from there.